A modern high-performance facility for the production of metal powders used for 3D printing is being developed by researchers from the Department of Industrial Technologies of the Yurga Institute of Technology of Tomsk Polytechnic University. The TPU project has been, of late, supported by the Russian Science Foundation. According to the researchers, currently, in the world, a vigorous development of additive technology and its industrial application are hindered by several factors. For example, high cost of materials does not factor in the making of small details but when a product touches a larger scale, a high cost is an overwhelming hurdle. Only industrially developed countries, at present, make nanomaterials in commercial quantities. In Russia, there is an acute need in domestic alloy powders, but there is no serial production of such materials inside the country. Enterprises are forced to purchase and use powders supplied by foreign manufacturers. Annually facilities for additive production need about 20 tons of raw materials. Therefore Russian enterprises are interested in the low cost of produced powders that will enable to significantly increase the effectiveness of 3D printing of industrial products. Maksim Kuznetsov, Project Leader, Senior Lecturer, Department of Industrial Technologies, Yurga Institute of Technology, Tomsk Polytechnic University. 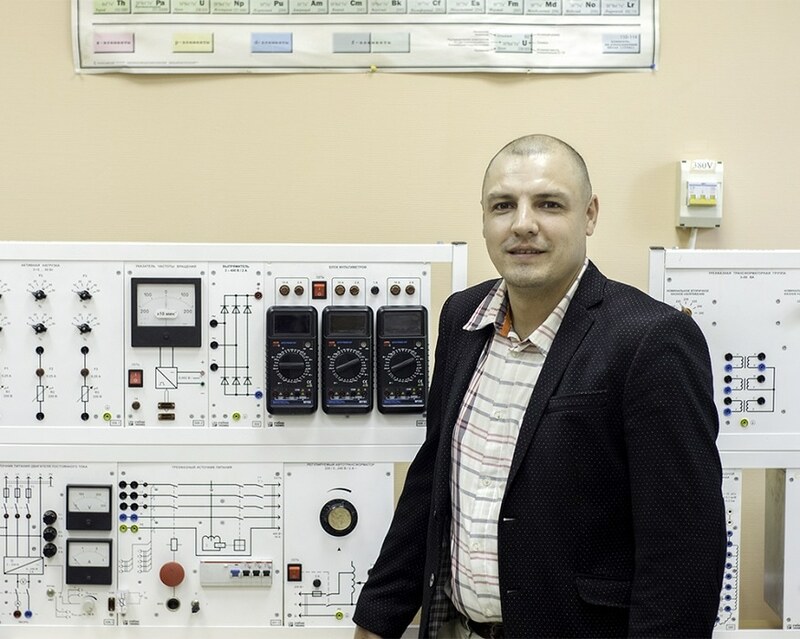 The facility’s operation principle is being developed by TPU researchers is based on the study of the effect of the vortex plasma flows of heterogeneous plasma on a material and synchronized high-frequency effects on the electrode. The facility will be provided with a high-frequency magnetron for developing environments for the formation of a flow of particles. “Our facility will have a number of fundamental advantages compared to other methods for the synthesis of nanosized powders. For example, it will be able to generate stainless, instrumental, heat-resistant, titanium and aluminum alloys, medical cobalt-chromium and titanium, as well as titanium oxide,” explain the project participants. According to them, the facility will create spherical particles with a high content of dislocations (defects in the crystal and metal lattice) and with amassed internal energy. This will considerably boost the chemical potential and provide conditions for high physicochemical activity of particles. “The facility implies thin and agile adjustment of process parameters and, accordingly, properties of produced nanopowders. It will enable to obtain a wide range of nanopowders of different metals and alloys which can be manufactured in the form of wire or foil. In some cases, it is possible to use a method of jets of molten metal,” highlight the experts. Furthermore, according to the TPU technology, the energy is added into the metal in a pulsed and volumetric manner, its consumption to heat the environment is minor. As a result of this, the energy costs of the technique are considerably lower compared to alternative approaches. Presently, the researchers are attempting mathematical modeling of the facility processes. Researchers from the Siberian State Industrial University are also involved in the project. The project is scheduled for 2018-2020 and executed under the support of the RSF grant No. 18-79-10035.